Pre-bake pizza dough according to package directions. Drizzle pre-baked crust with olive oil. 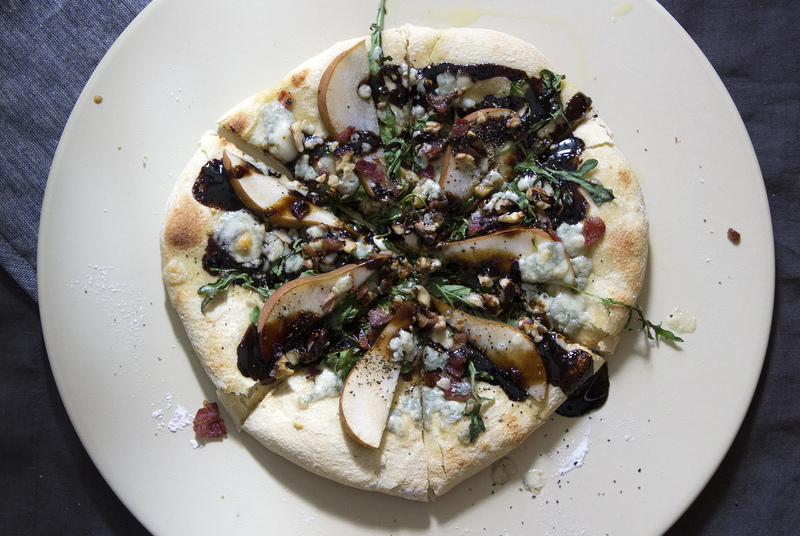 Arrange arugula, pears, gorgonzola, bacon, and walnuts on top. Drizzle with balsamic glaze and sprinkle with pepper. Broil on low until cheese is melted and crust is tanned. More or less of each of the toppings can be used to achieve desired effect. Balsamic reduction can be substituted for balsamic glaze.